The Farm-to-Consumer Foundation is currently developing an alternative curriculum for high school students active in the National FFA Organization, one that focuses on the benefits and importance of local sustainable agriculture. Introduced in stages, the program begins with an overview of the history and concepts within the local food movement. Topics include the local food movement as a consumer-driven movement, the history of organic farming, the 1980s farm crisis, the introduction of community-supported agriculture, and the link between the current food system and human, animal and environmental health. As a follow up, students may develop and maintain gardens at their schools, using the principles of sustainable farming, and local markets to sell their crops. Apprenticeship programs could connect students with local farmers involved in the production of organic produce and livestock for the locavore community, restaurants and other consumers. Currently, students in the Future Farmers of America program are taught conventional and industrial crop production methods through curriculum provided to FFA teachers by a foundation sponsored by national fertilizer companies. F2C is eager to offer teachers an alternative curriculum and to provide free materials through the F2C website. 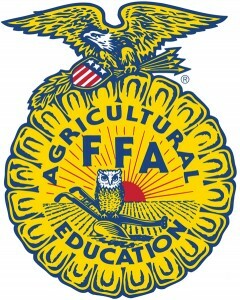 In addition, the Farm-to-Consumer Foundation is working on an essay contest for student enrolled in FFA. Essay questions, flyer and print ad design are being developed for introduction this fall at the FFA National Conference. You can donate to support this curriculum at: www.f2cfnd.org/donate.